M. Night Shyamalan wrote and directed The Sixth Sense. He reintroduced a world that had been awash in slasher films for decades to psychological thrillers. 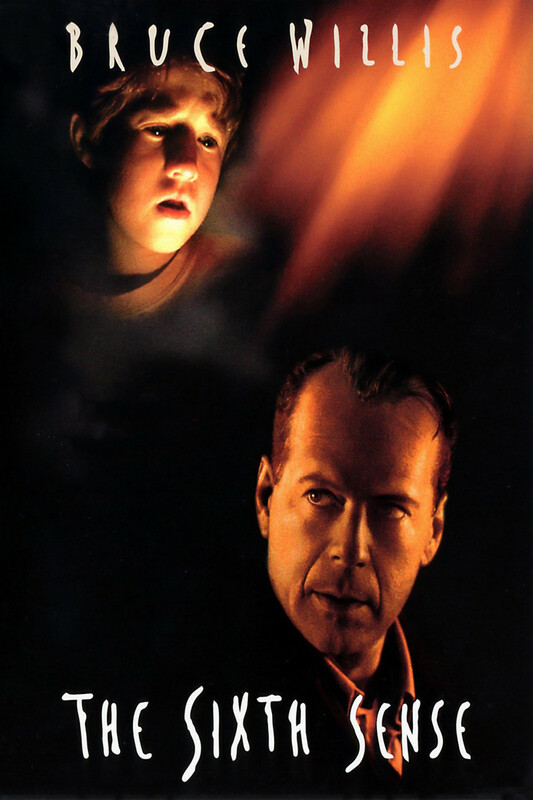 Bruce Willis plays Malcolm Crowe, a Philadelphia child psychologist. He comes home one night to find a former patient. Apparently Crowe may not have the best bedside manner because this guy is obviously still seriously disturbed. He shoots Crowe before committing suicide. The following year, the recovered Crowe begins treating Cole Sear (Haley Joel Osment). The cases of this child and the man who shot him are painfully similar. This makes Crowe more determined than ever to help the boy with his hallucinations. Only, the more time he spends with the child the more Crowe can’t help believe it’s true: He sees dead people.